You probably haven’t spent much time thinking about the springs in your garage door, but they are a critical part of the operation. The garage door requires properly functioning springs. Garage door springs are under tension, and they can break without notice. Express Garage Doors technicians know everything about springs so you don’t have to. Spring most often break when a garage door is closed, but it can also happen when the door is opening or up. That means a heavy door is at risk of falling on the contents or people in the garage. Because of the danger involved, do not try to fix the springs yourself. When you are in need garage door spring service in San Diego, CA, Express Garage Doors is the one to call. 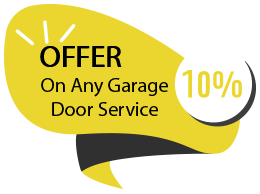 Express Garage Doors knows how to fix all types of springs, and we will rush to you to make the repairs and get your garage door working again. We are expert in all kinds of springs and know how to properly set the tension for your garage door. The spring’s tension must be adjusted to meet the weight of the door. For instance, a 150-pound door will need to be connected by a spring that has 150 tension strength. This is routine business for us, but a homeowner or business owner can easily make a mistake on tension strength, creating a dangerous situation. Call the experienced team at Express Garage Doors and we will tackle all your garage door spring problems. Express Garage Doors has all the necessary garage spring parts in stock, so we are completely prepared to repair or replace any of you damaged springs. Our technicians also have great ideas about different ways to keep the springs in your garage in their best shape. This will increase the lifespan of the springs and ensure your garage door doesn’t suffer damage due to broken springs. There are a variety of springs used to make garage doors work. One of the common ones is torsion springs, which accommodate the garage door’s weigh through a strong beam along the top of the door. Cables are used to make sure the springs uncoil when the door is opening, and coil when the door is closing. When everything is functioning as intended, the garage door will open and close as it should. The torsion spring design offsets the weight of the door, so it could be a hazard if someone who doesn’t completely understand how the spring works tries to fix a torsion spring system alone. If your torsion springs experience any problems, don’t look elsewhere in San Diego, CA than Express Garage Doors. We are well-versed in how the springs work, as well as how to determine the proper size and strength of the torsion springs. For example, a bigger spring can take on more weight and resistance. A smaller door needs fewer springs, while a heavy door or most commercial garage doors must have more springs. The team at Express Garage Doors is well-educated in torsion springs and carries all the necessary parts to the jobsite, so they will be ready to take care of your springs to the exact specifications. Extension springs are another common spring system in garage doors. They work by extending and constricting when the door opens and closes. These extension springs are mounted inside the garage door system to allow it to handle the weight of the door. 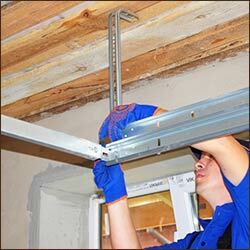 Extension springs extend and contract to offset the garage door’s weight, allowing proper operation. As the door is opened, the springs tighten, so the door can easily go up. 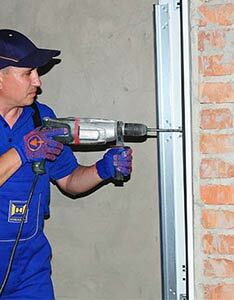 When the door is closed, the extension springs return to the original position. These springs are under intense tension, so we always recommend calling a professional to work on them. Trying to repair or replace springs without the proper knowledge and skills could lead to further damage or even injury. We are always willing to come and inspect your garage door springs to make sure all the springs and other parts are functioning properly. Sometimes we can spot a potential problem before it occurs. If you ever have trouble with the springs in your garage door systems, contact us at Express Garage Doors for quick assessment and repair.